When we think of the Apollo missions, we tend to think of images, especially those broadcast on television during the Apollo 11 moon landing in 1969. And if we think of the sounds of Apollo, what comes more quickly to mind — indeed, what sound in human history could come more quickly to mind — than Neil Armstrong's "one small step for a man, one giant leap for mankind" line spoken on that same mission? But that's just one small piece of the total amount of audio recordings made during the Apollo program, which ran from the mid-1960s to the early 1970s. Now, with nearly 20,000 hours of them digitized, they've begun to be made available for listening and downloading at the Internet Archive. 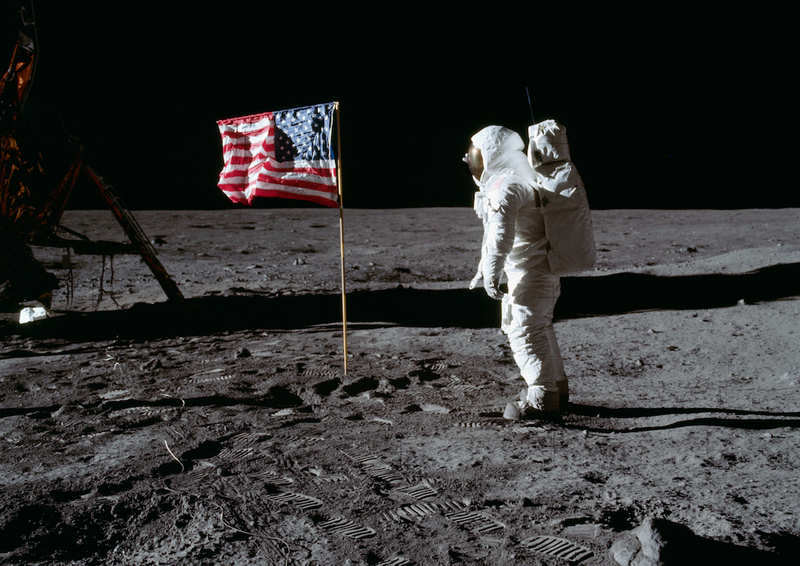 "After the Apollo missions ended, most of the audio tapes eventually made their way to the National Archives and Records Administration building in College Park, Maryland," writes Astronomy's Catherine Meyers. But even after getting all the recordings in one place (easier said than done given the vast size of the archives in which they resided), a much larger challenge loomed. "The existing tapes could be played only on a machine called a SoundScriber, a big beige and green contraption complete with vacuum tubes. NASA had two machines, but the first was cannibalized for parts to make the second one run." Refurbishing the very last SoundScriber to play these 30-track tapes required the help of a retired technician, and then the research team needed to "play all 30 tracks at once to minimize the time required to digitize them, as well as to avoid damaging the almost 50-year-old tapes by playing them over and over." What with the 50th anniversary of the Apollo 11 moon landing approaching next summer — and with First Man, Damien Chazelle's biopic of Neil Armstrong currently in theaters — NASA has cleared that mission's audio recordings for public release. You can listen to the Apollo 11 tapes directly at the Internet Archive, or you can make your way through them at Explore Apollo, a site designed by students at the University of Texas at Dallas that highlights the most historically significant of the thousands of hours of audio recorded during Apollo 11: not just Armstrong's first step, but the launch from Kennedy Space Center, the lunar landing itself, and the astronauts' walk on the moon's surface. But space exploration is about much more than astronauts, as you'll soon find out if you spend much time at the Internet Archive's collection of Apollo 11 recordings, on which appear not just Neil Armstrong, Buzz Aldrin, and Michael Collins, but the hundreds and hundreds of other NASA personnel who made the moon landing possible. We may never have heard their names before, but now we can finally hear their voices.